Hand arthritis is common disorder occurring in about 27% of Americans with higher prevalence rate in women. It commonly affects carpometacarpal joint, thumb origin region, near nail joint of the hand. They are progressive degeneration of joint of hand leading to no moment or restricted movement of the hand which results in severe pain while performing any kinda work with hand. 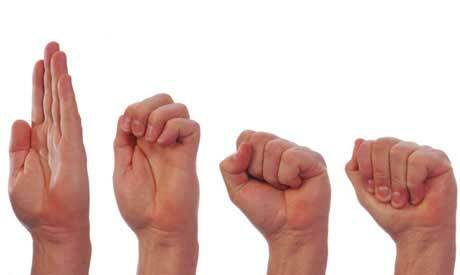 The thumb joint where the thumb meets with the wrist of the hand shows a formation of bony structure or nodules. 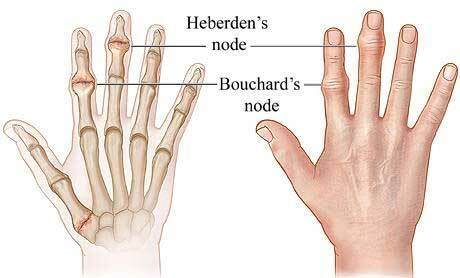 They are formation of bump like structure in the middle of the finger of the hand called as Bouchard’s nodes. At the base of the fingernail, they are production nodular structure known as Heberden’s nodes. Pain and swelling in the joints and the condition deteriorates if they are a movement of the joint because they will be no cartilage to provide support to the bones and it does not act as an absorber of reflexes produced by the hand. Many people get relieve from the pain during resting period and increase the pain when they are an activity of the hand. In rainy weather also they increase in pain due to arthritis. The stiffness of the muscle with restricted movement of the joint. They may severe pain in the region of arthritis which is like the grating of crushing the hand because of the damaged cartilage of the joints. They might also be changes in the appearance of the joints of the hand because of the degeneration of bones of the hand. If the cartilage wears off completely from the bone then they are a looseness in the joint which results in the larger size of the hand joints. 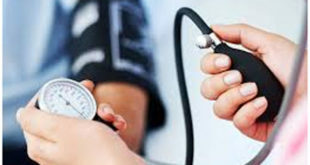 They are certain risk factors which lead to this chronic disorder they can modifiable and nonmodifiable. The age of the individual determines the susceptibility to the condition as elderly are more susceptible to the condition. The gender is also important because females are more affected than males. Certain genes present in an individual also determines the higher risk rate of the disease as those genes cause arthritis. Physical activity as athletes commonly affected due to arthritis because of more physical activity. 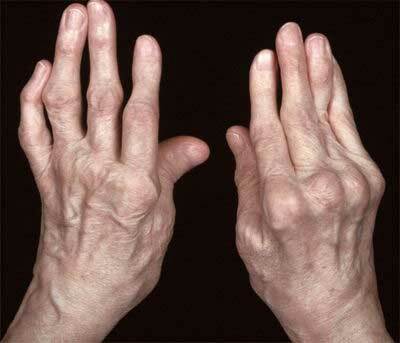 They are many conditions which cause hand arthritis in an individual. Injury to the joints causing degeneration of ligaments and joints. Infections of the bone such as Lyme disease. Abnormality while metabolizing leading to gout. X-ray-The x-ray of the hand might be taken to know the cause of the type of arthritis in an individual. MRI Scan- This magnetic resonance imaging is done in the individual who are suffering from Keinbock’s disease. 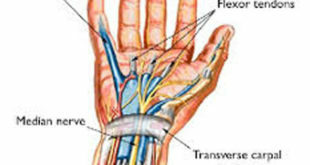 It is the condition where the blood supply to the lunate bone of the wrist is interrupted. Bone Scan- The scanning is done if the results of the x-ray appear to be normal. One can get relief from arthritis without medications if they follow certain exercises and changes in they diet. 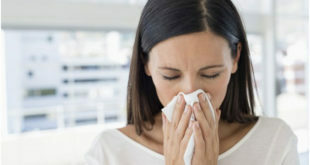 If the condition persists then they need to use medications. Perform certain hand exercises as directed by your physician. Give complete rest to the affected joint with little movements without getting pain as it might further deteriorate the condition. Lose weight to get back in normal shape which helps in improvement of the muscles and joint activity. 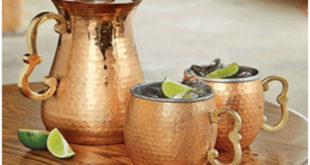 Use cold and heat compress therapy. Use of finger and wrist splints can be worn during night time which provides relief while restricting the movement. Arthritis can be treated successfully with certain drugs but if the conditions get worst then they are a need to consider surgery. Use NSAIDs to provide relief from swelling and inflammation. Use of analgesic in the form of the injection or in oral form. Use of Steroidal injections can also be done. Use of Capsaicin cream as a topical treatment helps in relieving the pain. 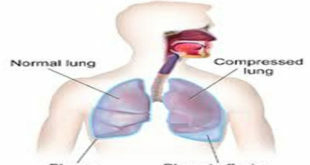 If the above medication does not help then they are a need to consider surgical treatment. Joint reconstruction can be done in the affected tissues and ligaments. Certain home remedies help in providing relief from the pain and swelling and stiffening of the joints. Castor oil- Massage castor oil on the affected joints of the hand. Fenugreek- Eat fenugreek seeds soaked overnight to provide relief from inflammation. Drink turmeric milk as it has antibacterial and antiseptic properties. Consume garlic on a regular basis as it has an antirheumatic effect.